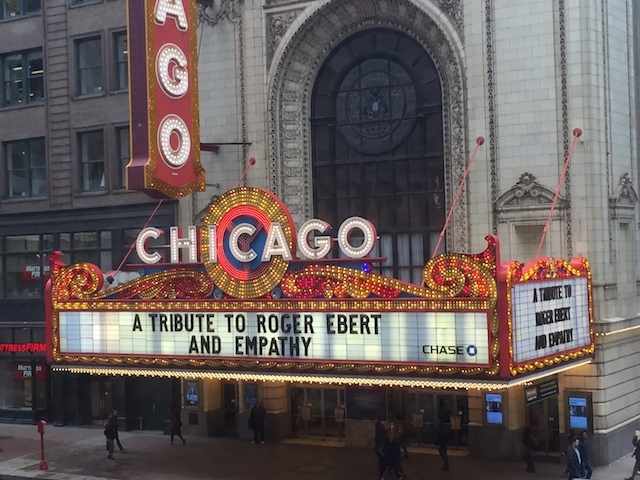 Chicago Theatre marquee announces the Roger Ebert event. CHICAGO – April 4th will always be a bittersweet day for the film world, as it is the day in 2013 when film critic and Chicago icon Roger Ebert passed away. But his legacy lives on through his wife Chaz Ebert and their Ebert Foundation. To uplift the anniversary, the Foundation announced 21 new recipients of $1000 grants, for their organizational contributions to arts and improving the lives of Chicagoans. Included in that recipient group was the Chicago Film Critics Association, in which Roger Ebert was a member.